Corporate video, business video, video marketing, whatever you want to call it, there’s a lot of different ways to use it nowadays which is why we came up with this guide. It aims to inspire you, motivate you and make you realise just some of the ways you can communicate using video. So in no particular order, let’s get stuck in. A vlog is a video blog. It’s a short educational video which aims to help your viewers out with a particular problem they have, and your expertise can solve. What businesses should use vlogs? Vlogs are everywhere, from lifestyle and travel vloggers to businesses and billionaires. Their popularity is rapidly taking viewing hours from TV, and as production costs decrease and distribution outlets increase, anyone who is anyone is starting to make them. As a business, if you’re not vlogging, there’s a strong chance you’re losing your authority to competitors who are. How to make the best business vlog? You can make a vlog pretty much anywhere now. You’ll see them on LinkedIn all the time shot on phones, which is the place most people start. For a basic, portable and more professional setup, we’d recommend using a camera like a Sony a6500 to shoot your vlogs, with a small shotgun mic and some lighting. Spending time to make your background stick out on a timeline with colour and well-aligned props will give your content a higher quality feel. We would not recommend vlogging on the fly, in your car or in the street because you have ten minutes spare. We now all have access to a high-quality camera but that alone does not make the content appealing. Plan, research and make your content as creative as possible to make sure you don’t become another cringe fest on someone’s screen. Those favourite vloggers you’ve watched may look like they’re winging it – but they’re not! Not sure what to vlog about? Why not check out our free course here which will help you come up with ideas. Seeing is not believing, written case studies are often long-winded and don’t tell enough of a story to captivate your audience. They are also written which means (if we’re being generous) that it could be using more than a little creative licence. What is a case study video? A case study video is your ticket to business video credibility, it’s filming your clients telling a story of how you successfully went above and beyond their expectations. You then use shots over this narrative to help take the viewer on a visual journey which not only makes the content higher quality but gives the viewer an experience they are more used to getting from watching TV. Who should make Case Study Videos? The crucial first step to take when making a case study video is to find a great story. Just filling the video with facts and figures won’t make for an engaging watch. Start off with the problem your client had and get them to talk through the beginning/problem, middle/finding you and the initial onboarding, set up and end/result. Use quality visuals over the top of this narrative to help tell the story and add to the production value. Just having someone talking to a camera won’t make for great viewing. That’ll make for great business video. Having someone on camera which you’ve strong-armed into being filmed will make for a challenging watch and will distract from your marketing communication. Do not offer a reward or quid pro quo – especially cash as it will look like bribery and make the whole experience transactional. It ought to be done because you’ve been a great supplier. Of course afterwards you could send over a nice bottle of wine (highly recommend anything from Naked Wines and some chocolates) but that’s all. Check out the example case study video below. These business videos might seem like a case study video, but there is a subtle difference. A testimonial video is a video which captures your clients telling the world how great you are. The difference between this and a case study video is that a case study goes into more details. Testimonial videos can be more general, they can brush over the fine details and get to the bigger picture, you guys are straight up awesome. They don’t need to be too long, even 20 seconds will work, especially on social media. Who should use testimonial videos? Pretty much everyone, no let’s take that back. There is not a business in all the land that wouldn’t benefit from testimonial videos. If you’re struggling to film them then why not check out this video here all about how to get more Google reviews from your customers too. How to make the best testimonial videos. Well, the first thing you can do is watch the video below which will teach you just that. You can shoot these on your phones which will give it a feeling of authenticity, or you could get the pros in to do it for you. Try asking questions like “What surprised you most about working with us” things that make them think on their feet. If they squirm a little trying to come up with the content then just re-shoot and ask again. You want them to have to think hard on the spot as this often brings out the most genuine answers for highly engaging business video. Top tip for making testimonial videos. Don’t let them prepare their answers or try to present them. Your participant will come across as uncomfortable, and to the viewer, it will feel like they’re lying. If you can’t find a great testimonial, then don’t make a video on it as it could backfire. A how-to video is a video teaching someone how to do something. They are one of the most searched for videos online, and they provide vast amounts of credibility, trust building, and rapport. We feel in small business land, this is a business video more people should be producing. Who should make how-to videos? – If you want to appear up higher in search, get more searches and build a more significant following. Our advice would be to keep it simple. 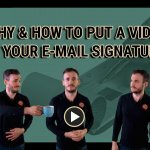 You may want to create a massive amount of how-to videos which means you’ll need to create a format that speeds up your production but keeps the quality high. We would recommend in most cases writing the script, filming the physical process, generating screen grabs and then adding a voiceover with a hint of presenting on screen. Like this. There is a significant benefit to presenting your videos in person as it will build trust and rapport so try starting and ending the videos by appearing on screen. The voice over after that will speed up the production but still give it that personal feel the internet loves. Use a tool like Uber Suggest to work out how people are searching for content like yours. This tool will give you suggestions for the keywords to use as a title, in your content and in any copy that is used around your video and in distribution. This will please Google and get your business video more views and exposure. This video now ranks on YouTube and distributes itself. You can probably see that having a few of these types of videos could really grow your views fast. A review video is when someone takes a product and gives their opinions on it, it’s another format of business video we feel is underused. Mainly because review videos are massive online!!! Nearly 50% of people watch them before making a purchase now, and that’s only going to increase, so you need to come to the party. Who should make review videos? How to make the best review videos. The standard of review videos online is very, very, very high these days. Television shows and magazines which used to dominate this form of content have almost been replaced. YouTube channels such as CarWow are a great place to see how it should be done. The key to doing a great review is to not only work out what your audience cares about and talk about the features which relate to this but to present it in a way that’s more engaging, entertaining and waffle free. When reviewing, turn your videos into sections, almost like chapters and present each one in the same way. You don’t have to call it chapter 1, 2, etc. but make sure they all follow a similar pathway. CarWow for example pretty much always follows the same pathway when reviewing cars. 1. Exterior 2. Interior 3. Quality, 4. Top 5 things they like and don’t like and so on. They don’t actually drive the thing until way into the video, and there will be a reason for that! Top tip for making review videos. Examine the competition’s business video reviews heavily. You’re providing a service when it comes to a review which means just like your business wouldn’t offer something incomplete and rushed, your videos should not either. See what else is out there and aim to make it better or at least very different. Hijacking the news is a great way to always have ideas for videos. It’s the art of taking the news and presenting it in your own way, with your own opinions and style. Who should make business videos that hijack the news? It’s pretty simple really. You can do this as a live stream every week, you could shoot a quick 60-second update on your phone for social media, or you could create a whole studio especially for your news updates. Our advice would be to start small so you can work out how well received your news reports are before you go big. If you see this working, then it’s time to scale it up and take it to the next level. Be opinionated to the point where it scares you. This will work when it divides your audience. Opinions will make people feel like you are on their same wavelength, start conversations, generate shares and cause a storm on social media. A guest vlog is a vlog as we discussed in number 1, but you invite someone else in to vlog with you. The great thing about it is they do most of the work for you as it’s their knowledge on your channel. It provides your viewers with the information you might now have otherwise been able to give them. How to make the best guest vlog. The key to a guest vlog is firstly making sure the person or people you invite on to your show have excellent content but secondly, and this is more selfish, that they have an audience. The whole idea behind a guest vlog is to get your brand in front of a new audience. Once you have both decided on what it’s going to be about you need to make sure they will distribute it to their followers thus giving you more exposure. That could be on their social media, their website or e-mail or even their YouTube channel. 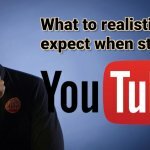 Youtubers often see massive spikes in subscribers when they do guest vlogs, and that is precisely why Youtube recommends that it is done regularly. Top tip for guest vlogs. How often do they post to social? Are they used to being on camera? Then once you’ve found the people to come in with you, strike up a written agreement that states they will share it on X, Y and Z. After all, you’re making them a video, so they’re getting a lot out of this too for free! You know when you visit a website, and their ads seem to follow you everywhere? That is known as remarketing or retargeting, and it’s mighty, cheap and effective. You put a small bit of code on your site, and when someone visits a particular page or takes action, it can tell the fine folk at Youtube, Google, Facebook, Twitter, and LinkedIn to display a video advert to these people. This means you can stay front of mind, get your messages out there, educate, entertain and inform all over the web. Who should make remarketing videos? We believe that everyone should be doing this. It really is cheap as it only shows to people who have already expressed an interest in you, making it a great use for business video. The key to a tremendous remarketing video is the first 5 seconds as that’s often when your viewer will be given an option to skip. Due to the fact you can have many different goals to remarketing, this will stay more general. Really you need to capture your audience with a creative shopper’s pivot. A shoppers pivot is a metaphor or something that digitally slaps your viewer in the face making their ears prick up. There’s a video all about that here. If you start off saying your name or a long logo flash, you’ll lose your viewer. These videos are all about fast impact. If you want to get results with remarketing videos, then make a lot of different versions. The videos will play to the same people a lot, so you don’t want them to keep seeing the same one, over and over again. You’ll also want to test different versions to see which ones get the best results so think about making 10 super short videos and seeing how they go. An interactive video could very well be the future of business video and the internet. It is still early days for it, but some incredible things can be done with it. Check out what Heineken did with interactive video for a fantastic recruitment drive. Putting it simply, interactive video is a video that gives people a choice to decide what to watch next in the video. You can do anything in the video that you could do on a regular website meaning one-day websites could be 100% video. Who should use interactive video? The gimmick of an interactive video will not mean it gets a good result. Like all great marketing its all about figuring out the story first and then using the tech available to us to distribute it in new and exciting ways. Spend the time on working out how to make something that’s engaging and would work really well to captivate your viewer even as a regular video. Then add the interactive elements to improve on it, that way you’ll be sure to impress. Like most things, it’s all in the planning. Map out each section of your interactive journey on paper, then check it and check again because if there’s one gap, the whole thing could sink. The about us video is a business video for people considering using your service, it lets them in behind the scenes to meet the people behind the company. Use it to show off your culture, processes, and what it is that differentiates you. Now you could go the matter of fact animation way or if you’re like us and believe that people want relationships with people, not brands or cartoons then get the people who work for your business involved. Who should use about us videos? There’s a lot of information online advising that you tell your business’ story on your About Us page. But you need to be careful because without a director this can turn into waffle. So, whatever your story is, focus on the most exciting bit, or you could focus on the people behind the business and show just why they love working there. If someone looks like they’re enjoying what they do, then this is infectious and will draw people to your company. To make this style of video look and feel natural, you need to loosen up your participants. An easy way to do this is to ask lots of frivolous questions that are work-related but also fun. Questions that will not only loosen them up and get them in the zone, but that might actually give you some useful content. Or just give them Tequila shots. Don’t give them Tequila shots, that was a joke. You would be forgiven if you thought this sounded the same as an About us video, but the difference is it’s super personal. A meet me video is all about one person, and its main aim is to build rapport with the viewer. They work well in e-mail signatures, on about us pages, on social media, in sales presentations, client onboarding, you name it. The most watched videos on our website which are not vlogs are our meet me videos which says a lot. – Pretty much anyone who contacts another human at your business. How to make a great meet me video. The key to this is to get personal. Tell your audience about yourself, let them know why you love what you do, why you got into it, and your thoughts for the future without the sell. These videos can be very infectious and make your viewer want to be part of your brand when done right. Experiment. There is no set formula for these videos, you’ll know what’s working when you’re filming. Try asking usual questions then asking really out there ones as a great editor will be able to make this work. Business video idea 12. Conversational videos. A conversational video is interviewing someone and then cutting each question into its own unique video. The difference here is they deliver the content looking into the camera so that it is a personal experience for the viewer. The benefits of this are you can film a load of video content very quickly. The edit might take a while to cut out the waffle and, but if you’re short for time filming, this is an excellent way to go about making a video. Who should make conversational videos? – Want to create relationships with other experts and businesses by inviting them to take part. It’s not easy to talk to a camera even if they’re experts in their field, they probably will be able to but to make sure the video is as engaging as possible you’ll want to shoot multiple takes and add other footage, images or text over the top of the video. This will allow you to edit out sections of the video as you’ll only need the voiceover while the other images take centre stage. Get your participants to prepare their answers first. This style of video is not entirely presenting but also not quite an interview. There is room for the odd stumble or “um,” but there isn’t room for weak content. We tend to find those who prepare their answers can focus on relaxing more. Weirdly, this isn’t always the case when it comes to making other types of videos. A client update business video is communicating your own personal businesses news, service updates and information your clients really need to get the best out of you. Who needs to make client update videos? How to make a great client update video. This is the place to get personal, the outside world won’t see this so your tone can be more familiar and more playful. These will often get e-mailed to clients and to make sure your open rates stay high you have to make sure they are engaging which usually means getting more creative and thinking outside the box. Just talking to the camera won’t get the next update viewed. Use multiple members of the team to present to keep the energy high, use metaphors and probs to keep the viewer interested and have fun. A personalised sales pitch video is a quick win when it comes to making business videos. It doesn’t need to be high production, it can be totally free, and it will set you apart from the competition. Putting it simply a personalised sales video is taking someone through your proposal and filling in some of the gaps. If your presentation is quite long people are more likely to skip areas, make it easier for them and walk them through it. Free tools like Soapbox will do this for you. Who should make personalised sales videos? – Businesses who want to win more business. Like most things in life, prep is key. We’d advise filming your pitch 3-4 times before sending it. Watch it back each time to make sure you’re not rambling too much, talking too fast or coming across as too confusing. Trust us, you won’t get this right first time even if you’re used to talking to cameras and even if you do, the 3rd time will always be better. Training videos are one of the best uses of a business video going. The ROI is instant, they allow you to systematise processes, meaning your team members can spend more time doing their job than training others up. Also, in a lot of cases, people have stated they would rather learn from a video than one on one interaction as it allows them to go at their own pace. Who should make training videos? – Want to provide a better service. Just because you’ve made a video, it doesn’t mean someone will watch it. The key to making sure all that information sinks in is engagement. Keep your training videos light-hearted, fast and fun and break the videos into bite-sized chapters instead of a 30-minute slog. We see people stop watching after 10% of a 20-minute video all the time but when that same content is broken into 10, 2-minute sections, the whole thing is digested. Find out what the most complex elements of your training and the areas that people don’t tend to get to grips with are and then spend the time writing something that simplifies these areas to the nth degree. The more self-explanatory sections won’t need as much work or creativity, especially if you’re on a budget. Much like training videos in the previous section, onboarding videos are all about systematising your processes so that you don’t have to keep repeating the same things over and over again. These can be business videos that welcome a new client and show them how to get the best from your service or new recruit videos to help them settle in faster. Who should make onboarding videos? – Want to provide a better more personal service. How to make the best onboarding videos. Onboarding videos should be personal. You need someone from the business who is client facing to present them. This will ensure rapport is built and your viewer values you. Hiding behind a pro presenter just won’t have the same effect. Depending on budget you can try to blow away your viewer you can keep it simple and informative. No matter which way you go, your viewer will find a lot of value in the content. For many smaller businesses, we’d recommend presenting to camera and mixing this up with screenshots, grabs, and footage that help keep the viewer engaged. Top tip for onboarding videos. Start with the most critical information, your video might need to be quite long depending on your processes, this will always mean viewers tail off. Making it top heavy with the stuff they have to know will ensure the best results. Behind the scenes videos could be behind the scenes of a video you shoot for your business, or it could be homemade content shot on a phone which shows the daily goings on at your company for platforms like Instagram or stories. Who should make behind the scenes videos? The good news is this does not have to be high production, in fact, it might work better if it isn’t. The world has fallen in love with reality TV shows, so this is your chance to capitalise on the fact that we’re all very nosey. Capture the fun things that happen in the office or other parts of your business. Keep it super short, simple and post it often. Think about the behind the scenes clips you’ve watched when it comes to films being produced. There’s a lot of smiles and prominent characters. Top tip for making behind the scenes videos. Make sure you keep track of how it performs as you don’t want to cross over the line that gives too much away and damage your brand. If you make products or even if you’re a designed based business, then you’ve got a story you can tell with every client you work for. These business videos are more about the visuals than anything else. – Want to show just how much work goes into their service to show their real value. The key here like most things in marketing is the story. You can go the route that is narrated or merely use text to back up the images used. Think of this as content which will fascinate your audience, if there are some really unusual and exciting methods you use then focus on them and talk through why you use them and when. Keep these super visual, use the design images, 3d renders and of course the finished article shots. We love closure, so the end result is vital. Ever stood next to someone at a party who won’t stop talking about golf or cars or something you have no interest in at all? Think to yourself, “is this actually interesting for my audience” The end user might find it dull but if you’re working with suppliers it might just be the content that sets you apart. Got a killer presentation you love giving? Well, then this is your chance to get more people to see it. Film your presentation to make sure you can unleash it’s real potential to a broader audience. Don’t just leave your audience with a copy of the slides, give them the real thing to share, watch back and boost your brand. Who should make PowerPoint presentation business videos? – Want to leave their audience with more than just a slide deck to share. How to make a great PowerPoint presentation video? I know what you’re thinking, nobody is going to want to watch this and you’re right, they won’t if it’s just a voice over slides. Use a green screen to create a studio environment that puts your slides in a TV or screen next to you. Cut back and forward between a wide which has the presenter and the slides and a close of just the slides. Try adding stock videos and cutting the presentation into chapters to give your viewer a break too. Top tip for making PowerPoint presentation videos. Keep your energy levels up to ensure you pull your viewer in. This might mean warming up before you start off filming the video in chunks. It’s hard to present with energy for 20 minutes straight when you don’t have an audience staring back at you so keep this in mind. For many successful businesses finding the best talent is tough which is why recruitment business videos are so important. You can show off your culture, your offerings and what it is that makes you such a better option than the other 5 companies they are looking at in a way that’s way more creative than a stock image of people who have never been to even the same country as your office. Who should make recruitment videos? The key to a great recruitment video is capturing the culture. You don’t want to fake it and come across as something you’re not because that new recruit won’t last long. You do want to create a realistic representation of day to day life. Get your director to interview members of the team and find out what it really is they love about their job and the company. You might find that leaving the room when this happens gets the best results too. Don’t put words in your staff’s mouths, this has to be authentic. The participants have to feel comfortable which means letting the production company step in as a mediator to gathering what represents your company in the best way possible. Before and after business videos are much like number 18’s Design to Production story videos accept they lose the story element. They are short videos that show off on a loop the mess you started with and the tidy result you end up with. Who should make before and after videos? If your product is luxury or of high value you might want the pros in here to really bring it to life and protect your brand. But do it either way – shooting it on your phone will still make for highly engaging social media posts and bring presentations to life. You want to keep these short and really get the point across in a matter of seconds and then loop the content a few times. You could add some text to the video to give it context or otherwise do all of that in the description of your social post. Top tip for before and after videos. They are called before and after not before, during, middle bit, a few weeks in, after. Keep these really simple. Check out number 18 in the list to turn these into a detailed story. Hero video content is the killer promo every business wants. It’s a video that spearheads a marketing campaign, gets shared tonnes and is all tied into a solid marketing strategy and usually costs a lot to produce. Nike’s hero content video would be the special they put out over the world cup, or John Lewis happens every Christmas. Who should make hero content? This is all about working out what will resonate with your target audience. What will they share? What will they be in awe of, what will make them feel some sort of emotion that forces them to tell their friends? It’s all about trying to go viral, and that doesn’t have a secret formula other than a lot of experience. Studies have shown to get shared you need to really create awe, which means showing someone something they have not seen before. There are other emotions which get results too, but that gives you a good idea about the level this type of content is at. Pull it off, and you’ll win big. Maybe try some other areas of the video first to avoid disappointment or get ready for an epic ride. Your prospects will have countless questions they always ask you or that you want them to ask. FAQ videos are the best way to stop them from asking you because they already know the answer. What businesses should make FAQ videos? – Want to increase understanding of a product or service. To make the best FAQ videos, you need to keep them as short and to the point as possible. No waffling on, no introduction, just make sure that question they have gets answered straight away as they are likely going to be hitting play on a few more. We’d recommend shooting on a simple backdrop and adding text and images if needed however don’t over complicate the edit if there is no need to as the average FAQ video might only be 20 seconds long, so it’s overkill. Get someone at your business to present them, ideally someone who is client facing. This will continue to build rapport, trust and differentiate your brand. Voted the internets least favourite form of video, event videos are on the backfoot. This might be because businesses tend to film an event because they have spent a lot of money on it and are proud of it, not because their audience wants to see it. Event business videos can range from showing off an exhibition to a festival, but no matter what, there is a way to provide more value with them. Who should make event videos? Just filming the event itself unless it’s a festival or club night is not the best viewing experience. For most businesses, the people at an event and the insights they have will make for better content. If you’re putting on an event and your clients are there, grab testimonials. If there are experts there, catch their thoughts and opinions on a current topic. Then combine footage of the event itself with this narrative to create some video that really works well. The great thing about events is you could leave with a vast amount of content if you plan it right, content people won’t lose interest in straight away. Top tip for filming an event video. Keep mobile, you don’t want to be lugging around a massive amount of kit as you’ll want to be catching people on the fly. You’ll also find that lights and a big microphone might intimidate people so keep it simple and focus on making them come to life on camera or a more engaging watch. A Cinemagraph is a photo which has some movement in it. The idea behind them is to create something visually appealing that grabs attention. They work well on social media for pulling peoples eyes towards the written content of a post or a link. It’s like a business video meets animation meets still photo. What businesses should use Cinemagraphs? The key to Cinemagraphs is capturing a scene that has one element of movement in it you will keep moving while the rest of the image is frozen in time. This means you need to film something where the movement is not too subtle so it won’t stick out. Someone standing by a waterfall would be a good example as they would appear frozen while the water was obviously moving. You can get free apps on your phone which will do this for you, you don’t need to be a master editor at all. Check out this link for 13 apps which will do just that. Interview videos are very common when it comes to corporate video. They can feel a little dull though. This is because the person on camera does not look down the lens. This means you are not part of the conversation and that you are listening in which makes it harder to hold your attention. The plus side to these is they are the most effortless style of video for the participant as they will feel they are having a normal conversation with someone. Perfect if you’re short on time. We’d recommend interview video series as you can turn each question into a video and then film a lot in a very short space of time. The works really in the editing. You can also, just like number 7’s guest vlogs, harness the participant’s audience and knowledge. Who should make an interview video series? How to make the best interview business videos. Firstly you can check out the below video. Ideally, if you want to get things shot fast, you just need to set up in one place and then film. At least 2 cameras will be needed so you can jump between angles in the edit. This is to make the content more, but also it will allow you to cut out any stumbles, waffle or material that’s not that strong. Then it’s down to the editor to bring it to life, add b-roll or stock video and text or just keep it natural. Top tip for making interview video. Get everything set up and ready before your participant arrives, playing with the lights for too long will not only unsettle your participant but waste precious time. Make sure you have full control of the light in the room you’re filming, and the windows are blocked up, if the sun comes out, it’s going to throw your whole set up and waste time. Need to get a message around your company fast? There’s no better way to do this than with business video, especially if you need to update your staff on legislation or matters that are duller than a wet Wednesday afternoon. Who should make internal communications videos? The first thing to remember is that video is not the solution to your problem, but engaging information delivered by video is. Take the information you need to deliver and come up with a creative concept to bring it to life. That might be a simple talking head video delivered by the CEO or a group of your staff all working together to get the message across. Make as many people feel part of the experience as you can, and you’ll find your people wanting to watch the next update rather than leaving it at the bottom of their to-do list. It’s all part of your culture. Get creative and playful. This is behind the scenes, away from clients. Take risks you might not usually do with exterior communications to make the team feel part of something special. YouTube is the second biggest search engine in the world and has overtaken Facebook to become the website people now spend the most time on, and it’s not losing any momentum. YouTube videos can encompass a whole host of other business videos we’ve already mentioned, but the key here is to treat this audience as a separate audience. This is your future, the decision makers of tomorrow live here which is why if you want to be a big fish in 10 years, you’d better start your channel now. There’s a whole 10,000-word blog on this but to simplify it down. It’s all about creating videos your viewers are searching for and then producing videos that are better than what the rest of the competition on Youtube are making. Now in some areas, that’s gonna be tough, but in many, the competition is weak, low quality and full of rubbish. Find your niche and create a format that allows you to make videos that are high quality and consistent, ideally 3 new videos a week. Check out our YouTube channel to learn all about building a Youtube channel. Set a ten-year plan and keep at it, many people feel Youtube is overcooked now, it’s not, it’s just getting started it’s just that the competition is getting better, but it’s still not anywhere near as big as it will be. Stay consistent, and over time, you could have a channel that generates al your business. There are many ways to go live with videos. A webinar is the most basic which often sees people hide behind slides and narrate over the top. Other ways to go live which are more personal are using Facebook, Youtube or Periscope to interact face to face with your audience. Who should make live business video? Firstly you’re going to want to practice a lot. Live video often looks like it’s made up on the spot, but it can only look like that through practice, planning, and more practice. Did we mention practice? You then need to think about your format. – Do you want it to look like a television show? – How long will it be? – Are you structuring it into a lesson? We wouldn’t advise just going live and saying “hi john, thanks for joining us” because your live viewers will vanish fast. Get the right kit. You can go live on your phone, but the world is used to higher quality content so lousy sound, lighting and production quality is going to make it less appealing to your viewer especially as live video is often a lot longer than snappy internet video. What on earth is a Vodcast I hear you cry? A Vodcast is a video podcast. It’s a great way to multi-purpose content. Big podcasters like Joe Rogan do this well. You film your podcast for Youtube or social media and also get the sound at the time for your audio podcast. You can cut the video into short trailers for your main podcast or run them both as stand-alone content. Who should make a Vodcast? – Do something different with their marketing others won’t dare try to copy. Vodcasts can range from a short 5-minute show to an hour-long epic. The length is really down to the amount of excellent material you can fill it with. For many starting out in content marketing, you’ll want to start short and go from there. As always, create a format you follow and break your Vodcast up into sections or items. You’re going need a studio for this, and you’ll need some decent recording equipment for the sound as iTunes can be a little fussy with what they allow on there. If you want to use other platforms like SoundCloud, you can use less ample equipment but remember, people won’t tolerate poor sound like they will often tolerate poor video quality (when the information is good). Heres a list of some kit you can use and some links to platforms you can publish too. If you’re serious about video and want to come up with the right content for your audience to fit these ideas, then click here and sign up to our ultimate video marketing course.